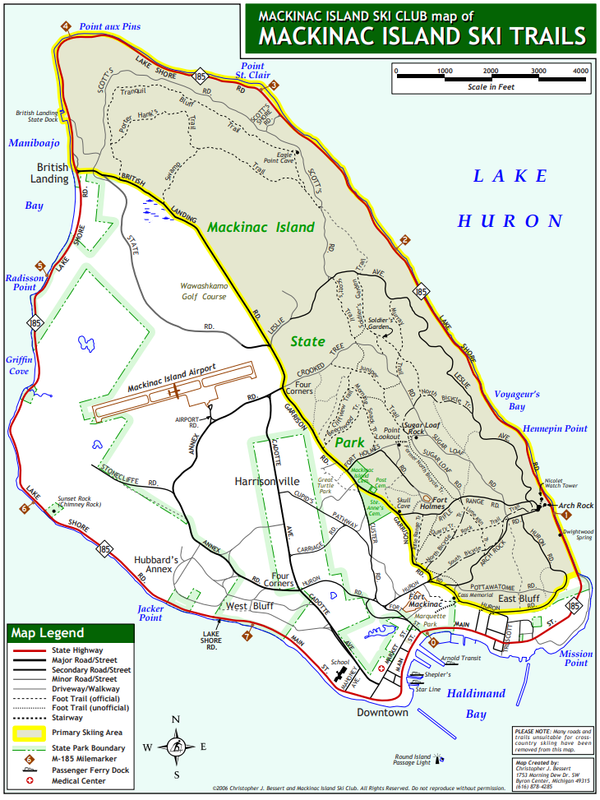 What's there: Winter is ski season here on Mackinac. The east half of the island is designated entirely for cross-country skiing. Groomed trails abound courtesy of the Mackinac Island Ski Club. Ski rentals at Cawthorne’s Village Inn (906) 847-3542 (https://www.grandhotel.com/dining/cawthornes-village-inn/).